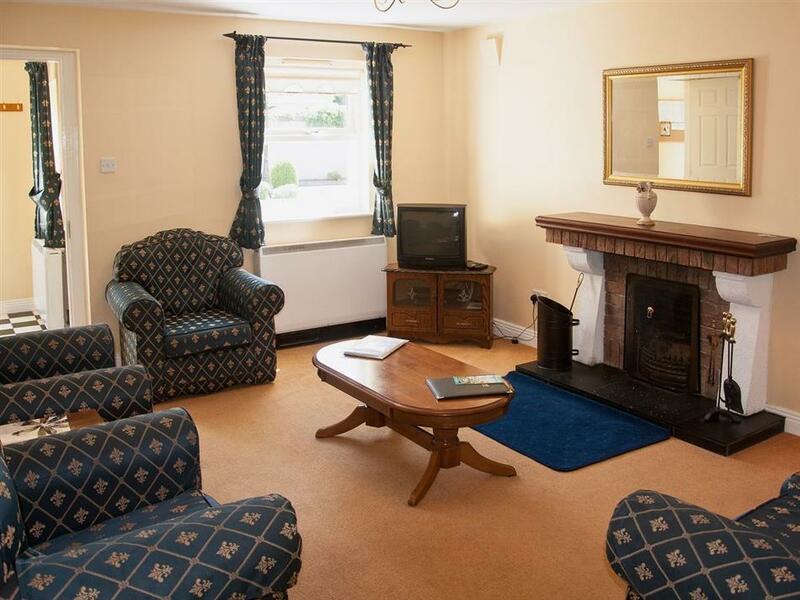 Aughrim Holiday Village in Aughrim sleeps 5 people. This holiday home in Aughrim is situated on the outskirts of the village, adjacent to a hotel where guests have full access to its bar, restaurant and on-site tennis courts. The house is within easy walking distance of the village’s shops, pubs and delicatessen. Aughrim is a lovely, quaint village with a river running through it attractive granite frontages and a local bowling green. It was the winner of the ’Irish Tidy Towns’ competition held in 2007. Nestled amongst the wooded hills in the heat of Wicklow at the point where the rivers Ox and Derry converge, this picturesque area is a great favourite with walkers and hikers, and the famous ‘Wicklow Way’ offers some panoramic views of the mountains. There are a number of riding stables in the area offering both riding lessons and pony trekking for rides of all levels. Arklow Golf Club and Woodenbridge Golf Club are all within easy reach, with the world-famous Druid’s Glen Golf Club less than an hour’s drive away. For those who enjoy fishing, Aughrim boasts its own purpose built, year round angling facility which has excellent facilities for those who are mobility impaired and there is a fishery is only 40 minutes away. In addition to its beautiful scenery, County Wicklow has a number of stately homes and gardens open to the public, such as Powerscourt House and Gardens, Mount Usher Gardens and Avondale House and Gardens. Although it feels splendidly rural, Aughrim is only 30 minutes away from Brittas Bay Beach, 40 minutes from Wicklow town and an hour and a half from the city of Dublin. The shop is 200 yards, with a pub and restaurant 100 yards from your cottage at Aughrim Holiday Village. Ground floor: Living room. Dining room/kitchen with patio doors and tiled floor. Separate toilet. First floor: 2 bedrooms: 1 twin, 1 single, both with en-suite shower room and toilet. Second floor: 1 double (5ft) bedroom with en-suite shower room and toilet. Open fire in living room (no fuel provided). Electric heating and electricity by meter reading (top up locally). Bed linen and towels included. Travel cot and high chair on request. Freeview TV. DVD. CD. Electric cooker. Microwave. Washer/dryer. Dishwasher. Garden with patio, sitting-out area and furniture. Parking (2 cars). Welcome pack. No smoking. Holidays at Aughrim Holiday Village run from Saturday to Saturday. For a better idea of where Aughrim Holiday Village is, you can see Aughrim Holiday Village on the map below. 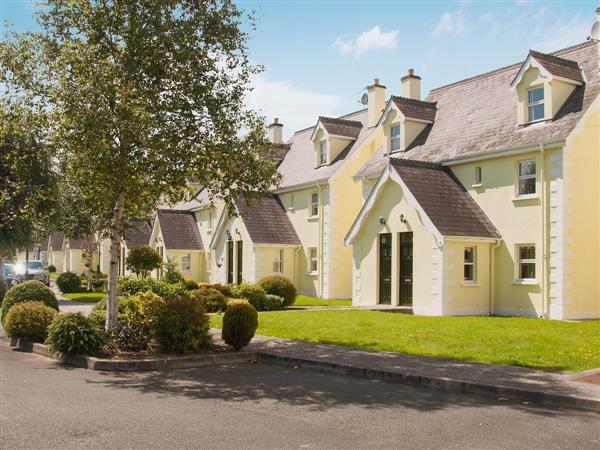 Do you want to holiday near Aughrim Holiday Village (W32167), you can see other cottages within 25 miles of Aughrim Holiday Village; have a look to find your perfect holiday location.